On special occasions no meal is ever complete without dessert. So what do you do on occasions when you are inviting friends to your house and run out of time to make dessert? Make fruit salad with custard! This happened to me few times when I got so engrossed in preparing Appetizers and Entrées that by the time I gave a thought about dessert there wasn't any time left! This is the easiest dessert to prepare if you have custard powder in your pantry and few varieties of fruits. Especially after having heavy spicy meals it feels good to have a light dessert and kids would really love it. Custard can be had hot or cold. While making custard there are few important points to be kept in mind to prevent formation of lumps. From the time the custard mix is added(more instructions below) the heat should be low till the end of preparation. Also never stop stirring. The custard powder should never be added directly to boiled milk. Instead it should be dissolved in cold milk first and then later added to boiled milk with continuous stirring. Many options are available for serving custard. It may be poured over cut fruits to make fruit salad, cold custard can be layered on sponge cake or equal amounts of custard and jelly may be combined to make fruit salad and garnished with fruits, nuts or drizzled with honey syrup. Its after all left to your imagination! Dissolve custard powder in 1/2 cup cold milk and keep aside. Heat remaining 2 cups milk and add sugar. Bring to a boil. Reduce heat to low and add the custard mixture slowly with continuous stirring. Continue this process until custard gets thicker. Remove from heat, cool and refrigerate for few hours. Add cut fruits to serving bowls and pour cold custard over it. Garnish with nuts and dates. 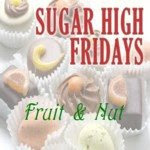 This goes to Sugar High Fridays-Fruit & Nut event hosted by Mansi of Fun & food Blog. please check my website for another easy way of making fruit salad.its www.theenglishfun.com. am a content writer in that site.